How good does it feel to have full-length football back?! We finally gained a good indication of positional roles, team styles, substitute candidates and player fitness. A huge edition of the Bullets this week as there is a heap to cover! Can I just say, how good does it feel to have full-length football back?! We finally gained a good indication of positional roles, team styles, substitute candidates and player fitness that the tri-series novelty just can’t provide. Now all we need to do is wait for the 14 extra players, slightly shortened matches and ridiculous rules (last touch? What a joke. I hope it never gets brought in; it is AFL after all, not soccer) to disappear and we’re golden! Regardless of the twinged rules, Nab #2 was full of fantasy related info… So much so, that I don’t know where to start. Actually, how about the game that never happened? What an absolute balls up! How the Essendon vs Saints match ended up being non-existent is anyone’s guess. It was the basically the managerial equivalent of one of those movies where they accidently kill someone through an unbelievably unlikely series of events then everything quickly goes to sh*t (you know the ones) and hilarity ensues. Except this is real life. How did this happen? Let’s recap the mistakes, play-by-play. Essendon didn’t give the match enough respect. Anyone that has played practically any sport knows that you never play to your potential after travelling on the day. Your legs feel like lead, your concentration is compromised, and your preparation is rushed. Regardless of a 6-day break, the Bombers should have made it a priority to be in Wangaratta the day before if they were taking the match seriously. The bombers played Russian Roulette, and lost. I don’t blame Essendon for choosing the flying option – once they made the decision to travel on the day, flying for 45 minutes is much preferable to two and a half hours on a coach. They even had the bus on standby (obviously for this exact reason) but they were reportedly assured by the airline that flying wouldn’t be an issue, despite the inclement weather. There’s a saying that you might have heard before: ‘It’s better to be safe than sorry’. Lesson learned. The AFL rushed to make a decision, and hastily labelled it a draw. How did they not see the backlash coming?! As with any big scale decision, such as one that involves competition points, all the clubs and public want to see is proof that the issue was given its due diligence before a decision was made. Usually it’s the right one (remember Sirengate?). But the shot-callers decided to come out on the offensive, which contributed more than anything to the whole saga being blown out of proportion. The AFL have a rule which states that if “one or both teams are unable to attend the game due to reasons out of their control, the match points are to be decided by coin flip”. Hardly a new rule, but the sheer idiocy of it only helped to fan the flames. How can a game, in this day-and-age of professionalism, be decided by the mere face of a coin?! Apart from being completely random, it has to have huge ramifications for the Betting agencies, which the AFL notoriously cooperates with. All in all, it was one of the more entertaining sagas we’ve seen in the AFL for a while. Bad luck mixed with a touch of poor judgement will do that. The worst thing is that it robbed the likes of Heppell, Zaharakis, Watson, Kavanagh, Dell’olio, Siposs, McEvoy, Hayes, Riewoldt, Goddard, Fisher, Milera, Cripps and Wilkes critical auditions for us DT coaches. While watching a few of the games this week, I found myself constantly feeling pessimistic whenever a smokey started dominating. That same awkward feeling was there in Nab #1 – I just didn’t notice it… After careful inspection, I figured out why I was so wary – I was just trying to avoid another Yarran Dilemma. Last year Yarran surprised us all by playing out the pre-season in the backline, where his scoring sky-rocketed due to playing the line-breaking role we are now accustomed to. Many jumped on for the season proper, including me, but we were all doomed. His Nab cup form caught the attention of not just the DT audience, but also opposition coaches; the result was being tagged out of the Round 1 match against Richmond for a measly 21. The question then is, who’s it going to be this year? The players that get a lot of the uncontested ball worry me the most… Will they start manning-up Hargrave? Will Bartel, or Masten, or Lucas be allowed to run free without opponents? What about Duffield’s freedom in the backline, or Shaw’s? 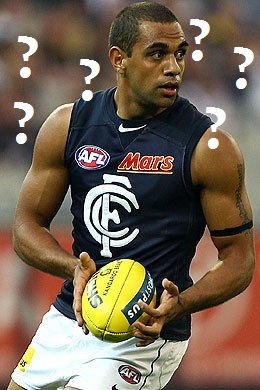 All of those face the Yarran Dilemma, and it scares me. That’s the great thing about DreamTeam. We learn our lesson… But you still think, what if? There were so many pleasing scores from the weekend, and so many frustrating ones. Then there were the ones that somehow managed to be both! Here are my Top 7 Bittersweet Scores from Nab #2. Masten has long been that player that dominates the pre-season, but then finds new and exciting ways of disappointing us during the year. His 89 backs up his solid 50 and 24 from Nab #1, giving my much-maligned Deck of DT article on him some justification… But now he’s actually tempting me. He didn’t play at the weekend due to his suspension for his off-the-ball hit, which means that he might slip under the radar for a lot of coaches… Although now I’m feeling the risk in picking up a player that hasn’t justified their spot. Broughton is in a prime position to repeat last year and be ‘That Guy’. That Guy who plays one position in the Nab Cup and a completely different role come Round 1 with dire fantasy consequences. On one hand, his 104 was impressive (rotating through the midfield, 21 touches & 7 tackles), but on the other hand, it would have been less stressful if he tanked the Nab Cup and didn’t present me with such a tough choice. I’d finally put a line through Porpz last week, then he goes out and racks up 16 touches in a half with a very fruitful midfield role. Another guy that is forcing a touch call onto me. In 2009 you averaged 93.2. Last year, you only went at 58.8 a game… Which is the real Hargrave? He played the Fisher/Birchall role to perfection on Sunday, but he has the Yarran Dilemma to overcome – will he still be so prolific when the real (read: accountable) stuff starts? At $232,700, he could be worth the risk. The most frustrating of the pleasing was HamMac for mine. I didn’t see the North-Sydney match, but 23 possessions, 8 marks and 14 hitouts later and I’m getting uncomfortable ignoring McIntosh with my current 1-3 Ruck structure. He could be this year’s Petrie, a player I discounted early last year and paid the price for. # Long Hair is back in vogue in a big way! Of course, the normal suspects like Vickery, Butcher, Maine and Dalhaus were out in force, but players that normally keep a tidy cut came out with a fresh look for 2012. Fyfe, Gibbs, Dawson, and Russel were just some that I noticed with longer salads, and that was just from the Sunday games. # Collingwood still aren’t trying. They played about 14 player, or roughly half of the side that took to the field on Saturday, that are probably not in the Pies best 22. # Dustin Martin is well on his way to becoming a DT superstar. Once I saw him toe-poke the ball Swan-style, and he even handballed the ball to himself on one occasion. You go son! # Jake King looks like a drugged-up version of Ben Cousins … Find a bigger misnomer that that. # There was only 8 matches on the weekend. Wait… what? # I’m not sure if Milne is the most hated AFL player (barring Collingwood players, obviously) in the league anymore… Ballantyne gives him a serious run for his money. Must average around 2 free-kicks a game for off the ball skulduggery aimed towards him. From a team perspective, the big DT improvers have to be the Bulldogs. They were one of the worst fantasy teams last year – they were on the wrong end of that DT smashing by the Hawks in Round 10 last year. But a new coach in McCartney brings a new game plan, very similar to that of the aforementioned Hawks. You know, lots of chipping, marking and general possession-hogging. So can the Bulldogs be the new Hawthorn? Could it have a domino effect on the scores of players like Hargrave, Lake, Giansiracusa, Howard and Murphy, just like it did to Shiels, Savage, Birchall and Suckling at Box Hill last year? So far, (and keeping in mind it’s only the pre-season) the case looks pretty good. I showed in the Bullets two weeks ago that they were the best-performed of Nab #1, and they slotted in right behind Fremantle (1588) and the Hawks (1557) with a team score of 1548 this weekend. They also boasted the most tons of nab 2, with 5 players raising the bat (and Boyd stranded on 99). If you do nothing else this pre-season, make sure you look closely at a few Doggies for 2012. Awesome question! So far I’m looking at Derickx, Jenkins, Redden and Rowe. Derickx is on the radar because he’s been training a lot with the forward group at Richmond, which adds another string to his bow. An injury to Vickery or Maric would be needed to lock him in though. Jenkins was head-hunted by the Crows, and he scored solid 50 in the absence of Jacobs. Rowe was everyone’s pick early on, but he managed only he 3 points on Sunday despite presenting well. He should still get his opportunities though. As for Redden, he is the man of the moment! He scored 84 against the Eagles on the weekend, posting 25 hitouts to Cox’s 13! I was at the game, and he and Butcher were two Port big men that were hard to miss. His exposure depends entirely on Lobbe’s and Renouf’s health. I guess that was a round-about way of saying that I’m not sure – yet! That’s a tough one. To answer the second part first – GWS have been very hush-hush about it, but whispers are that Treloar has a hamstring strain, while Shiel was mysteriously seen in a moonboot around the same time he was recovering from having his appendix out. Apparently, they should both be available in the next two weeks. Should we have them in our teams? Shiel was always locked for me, but things are a bit shaky now, especially with so much midfield rookie pressure. Ultimately, if they are both named for Round 1, they’ll probably get the nod from me. There’s only so much room these days with only 2 on the bench now, so it could be a tight squeeze fitting him in. I still don’t know how I feel about his JS due to the coaching aspect of his role, but then again the average JS of a rookie is not a hell of a lot. It’s a personal preference call I would think. Wow. I barely touched the surface on the weekend there – so many players went unmentioned! Apologies to Hogan (87), Devon Smith (108), Darley (68), McCarthy (99), Pfeiffer (74), Koby Stevens (77), Shaw (104), Garland (108), Magner (89), Couch (72), Dangerfield (127), Sloane (78), Minson (116), Clay Smith (48 sub), Kerridge (58 sub), Neale (59) and Ellis (59) who all probably deserved some recognition for providing some DT food for thought. Ultimately though, I don’t want to just regurgitate scores that you can easily find on fanfooty – the Bullets are all about generating discussion, after all. This weekend proved that all the Nab Cup games are jam-packed full of fantasy relevance, but from Nab #3 take specific notice of the Essendon vs Sydney Friday Night match, and also St. Kilda vs West Coast to see the Bombers and Saints players we all missed in Nab #2. Tip of the Week: If you’re having trouble fitting all the midfield rookies into your team, then try ordering them from most locked to least, and follow their form specifically. Switch them around based on what they show you, and you should be left with your preferred set-up. It’s either Clarke or Hargrave for me. Leaning towards Hargrave now but I’ll wait till next week..
Cameron Guthrie got me thinking… what’s his JS like you reckon? A lot of love for Birchall. He would be my 1st picked defender if I wasnt worried about Clarkson resting him during the DT finals again. Also: looking forward to seeing Connors again next week. 38 points in 1 qtr is a decent effort. Tbetta you are spot on about guys like Shaw not getting a free run around in the proper season. 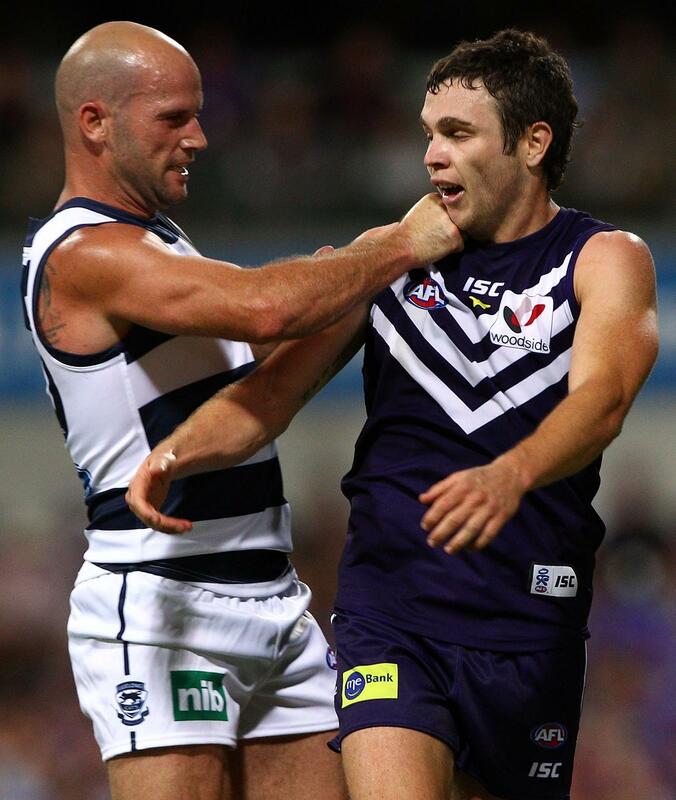 Spoke to a Bulldogs coach last week and he mentioned they won’t be letting Shaw be the loose man again. Gaff and koby stevens looking the goods. If they hand out awards for Dreamteam articles at year’s end, you should win the Vendetta Award for consistent hating of Masten on this website. Absolute gold, although would be even funnier if you put him in your side and he flopped (again). Just got home from doing OT at work.. cracked a beer and read the bullets! Love your work tbetta and the tweet section! Your articles always get me thinking about how I am putting my team together. TKOL mentioned that the game of DT is forever changing. The G&R strategy has evolved and some midpricers are stepping up to premos and empowering teams as did fyffe last year. Mids have heaps of great premo and rookie options. Giles at R2 can free up cash which allows cash to be spent elswhere, on the contrary, 2 premo rucks can be set and forget bar injury with Giles cash cowing it up on the bench. There are pretty good fwd options with premos and rookies and mid pricers. I reckon being creative in the backs is the key to going well. Overall they are not as higher scoring as other positions so are they less important or are they more important when prioritising your team. It is safe to say that on average most people will go 3 or 4 mid guns plus the rest rookies, giles and 1 premo ruck and rookies(because giles frees up cash), backs and fwds a mixture of guns, midpricers and rookies. Apparently the winner last year started with 6 premo mids! I don’t think the 6 premo mids is true at all. Where did you get that from? 6 premo mids does make sense, get a good high scoring core at the start give you a head start over many, barring injury. As its total points at the end. It surely wouldn’t work though, you wouldn’t gain anything on anyone really since you would have to stinge out all the other positions and almost go midprice – rookie in backs & fwd’s? Don’t forget that while the midfield rookies are the best, they are also the most expensive. If you have 6 starting mids, you’ll probably only be able to afford 13 or maybe 14 ‘keepers’ in total to start with. In contrast, starting with 3 will let you easily have 15, or 16 if you have no mid-pricers. More premo mids doesn’t necessarily equal more points. If you have Facebook and want dream team help, this page has all the latest updates on everything to do with dt as well as disccusions and polls where you can have your say. so like it now.